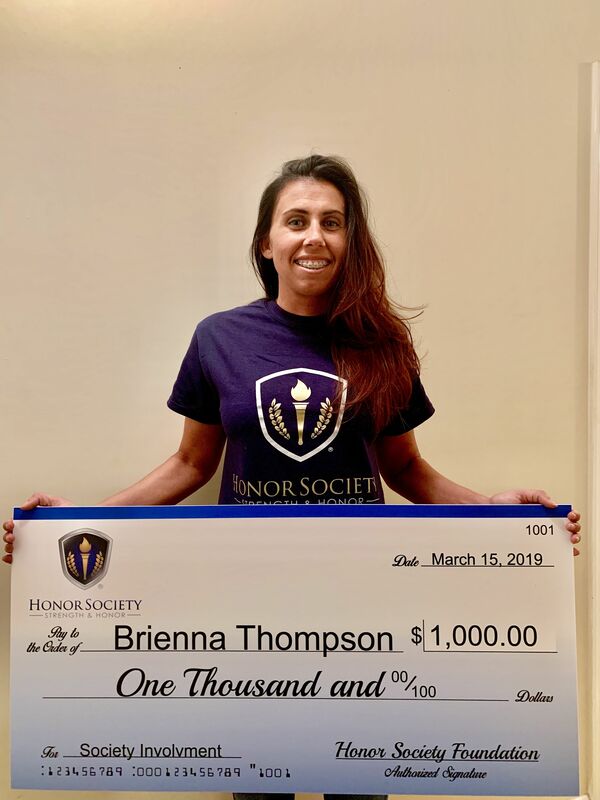 Brienna Thompson has done an incredible job of getting the people of her campus involved with Honor Society! We also support and honor our Marines, so we are very pleased to have Brienna as a member. Congratulations! 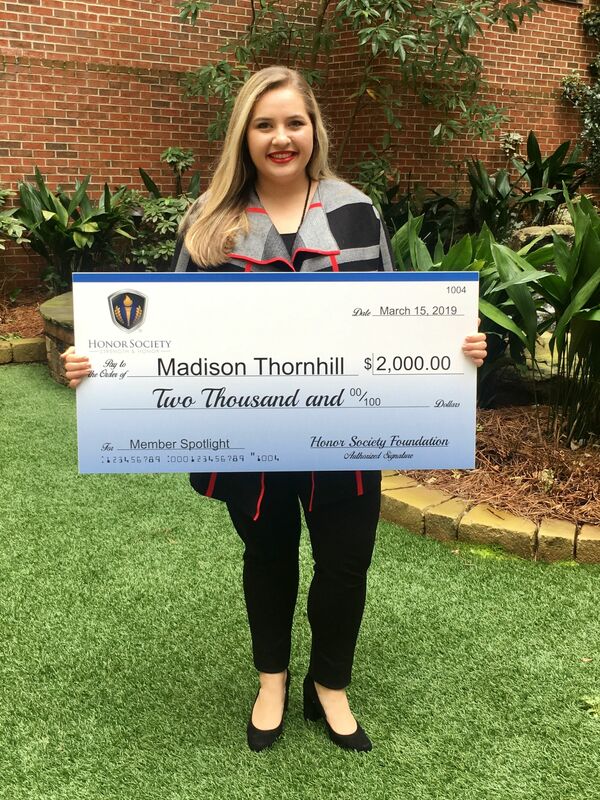 as a member of Honor Society, she was thankful to use the membership benefits of scholarship opportunities and networking with other students and potential employers. 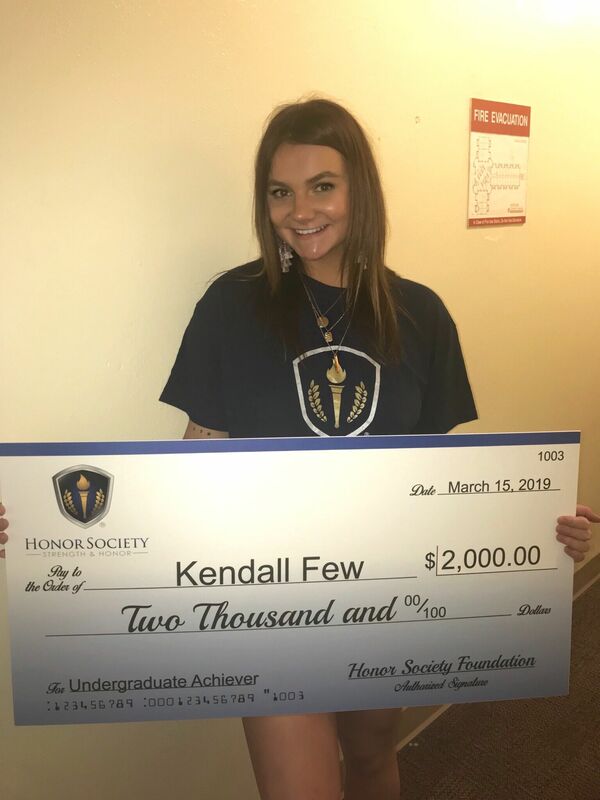 Kendall Few, our Undergraduate Achiever Scholarship recipient, is a Public Relations major at The University of Oklahoma, with a love of political science, too. 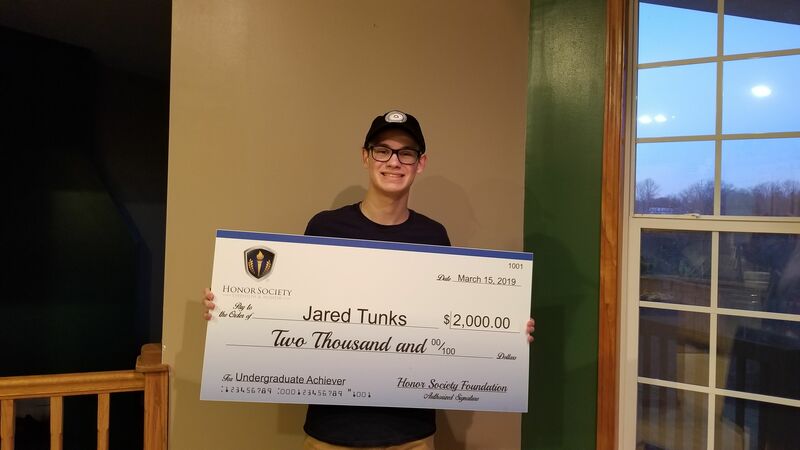 Jared Tunks, our Undergraduate Achiever Scholarship recipient, is currently a senior at Barren County High School, utilizing the duel credit program offered through Western Kentucky University. 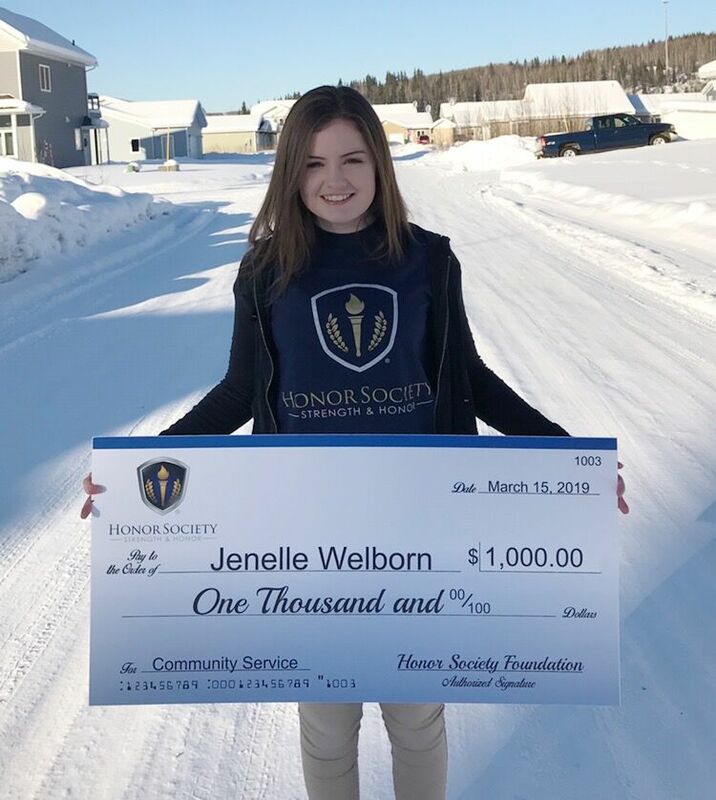 Jenelle Welborn, our Community Service Scholarship recipient, attends the University of Alaska Fairbanks and is working on her Applied Business Management degree. 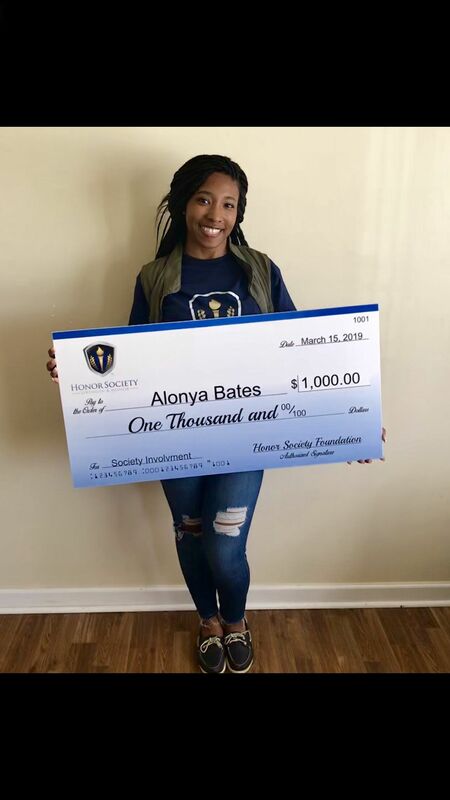 An early high-school graduate, she is the true representation of Honor Society’s values! 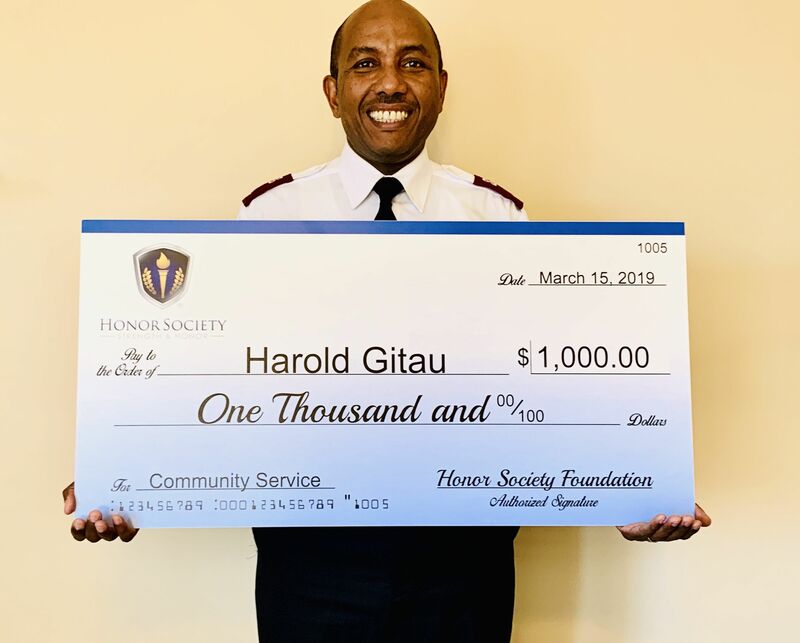 My passion is to help and serve people to meet both their spiritual, physical and emotional needs while providing solutions to improve and make lives simpler. 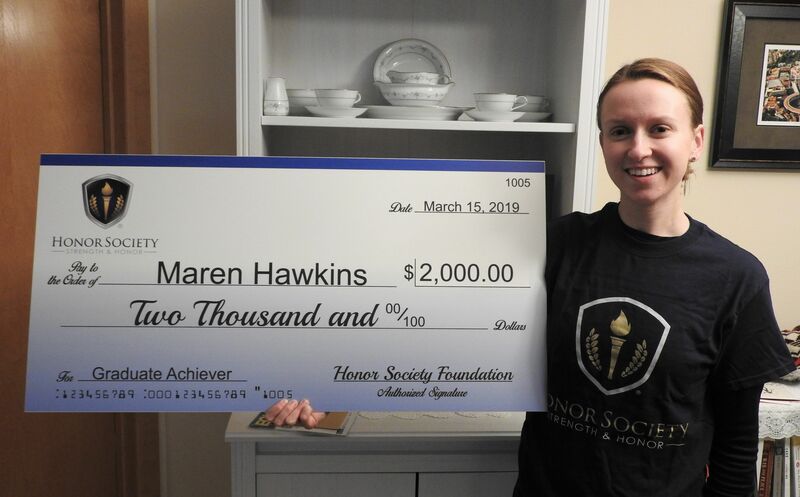 To Maren, public health represents the interdisciplinary bridge between academia and improved community health. 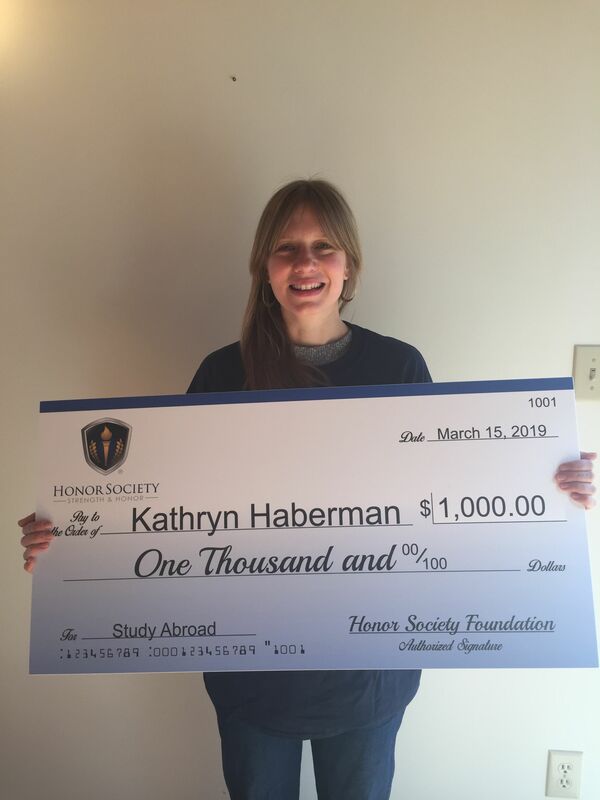 Katie Haberman, the recipient of our “Study Abroad Scholarship” for 2019, feels that it is her duty to prepare her leadership to uphold human rights, engage in advocacy, and act alongside vulnerable populations. 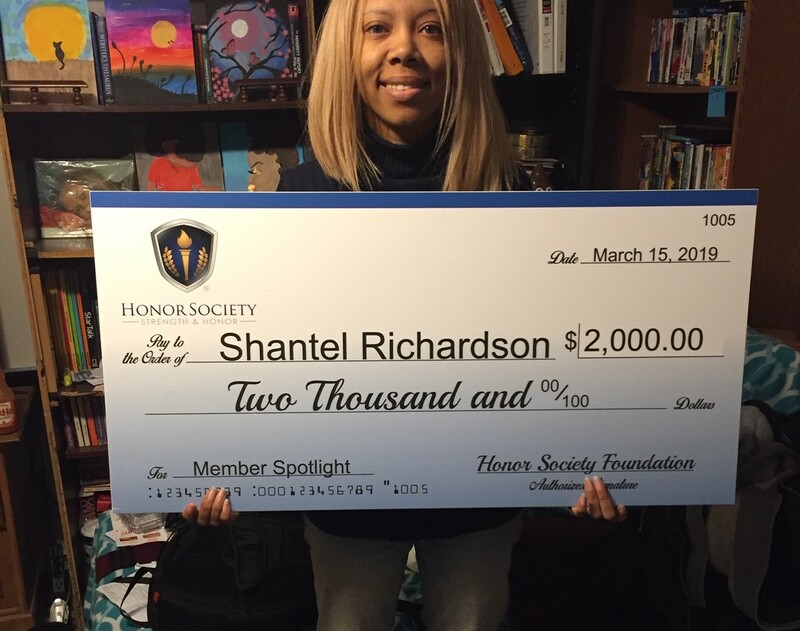 Shantal Richardson is the recipient of the Honor Society Foundation $2,000 Member spotlight recipient.